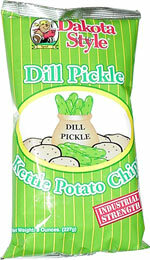 Taste test: These are very crunchy chips with lots and lots of vinegary dill pickle taste. You don't really taste the potato at all  it just takes like you're eating a pickle (but it's a pickle with the consistency of a kettle-cooked potato chip, of course). 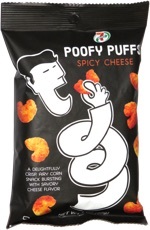 The pickle taste is strong enough to make these addictive, but not so strong that it scares your taste buds away  once you've crunched into one of these chips, it's really hard to put the bag down. Smell test: Strong pickle smell, nice.